Two men spent nearly 90 minutes waxing poetic about the art of comedy, acting, and directing during an intimate conversation in New York City. No, it wasn’t a smart, dialogue-heavy indie film, but you’re getting closer. Ben Stiller and Jay Roach sat in front of an audience at the BMCC in Manhattan as part of the 2013 Tribeca Film Festival‘s Director Series. The conversation, which was live-streamed on the festival’s website, covered a variety of topics about their respective careers, including the duo’s work on the blockbuster comedy Meet the Parents and the follow-up Meet the Fockers. Stiller and Roach sat one-on-one (there was no moderator) for an unfiltered discussion and eventually took questions from the audience. We picked the ten most fascinating highlights, moments, and quotes from Stiller and Roach’s TFF chat. 5. Roach and Stiller had created a part for Larry David for the Meet the Parents/Meet the Fockers movies with a character named Dom Focker. David turned down the role because he prefers to work on unscripted comedies. 6. 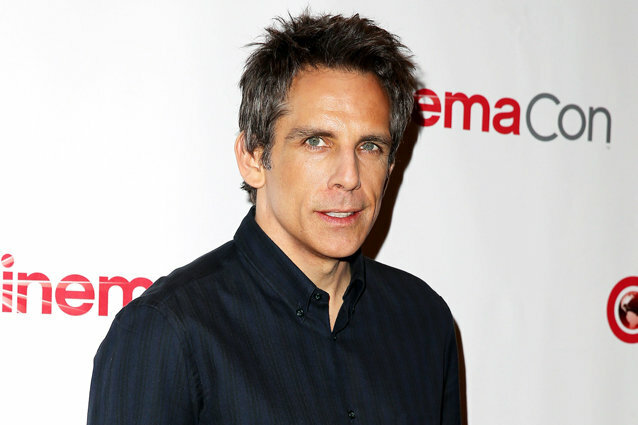 Stiller improvised the “milking the cat” speech in Meet the Parents. 7. Stiller had a small role as a POW in Empire of the Sun. When Steven Spielberg (who shared stories about working on Jaws on the set) asked him to lose weight for the part, he went overboard and lost nearly thirty pounds and the stunned director asked him if he was alright. ‘Game Change’ Director Jay Roach Making Another Lance Armstrong Movie: How Will They Be Different?